To some, loyalty may be defined as never getting a coffee from anywhere else rather than Starbucks (which I may or may not be guilty of). For me, as a small-town Connecticut girl, I am fiercely loyal to my roots. I plan every high school reunion, I still get the local paper and a good piece of hometown gossip will make my entire day. My best friend makes fun of me because I feel a sense of loyalty to everything from the guy who I no longer like to the lady who I get my morning coffee from at my local deli. Some say it is a good trait but like all good things, too much of it can be not so great. HOWEVER, when it comes to my professional life, loyalty to my favorite places makes my designs and business complete and is NEVER too much. Contrary to popular belief, I am not a creativity machine and need my trusty favorites for inspiration, whether it be for a design emergency or simply to wander around their showrooms after a boozy brunch. I do not like to promise much in life but I promise you this, if you need to take a design to the next level, head on over to my top picks to cure what ails you. Their highly curated collection of modern and vintage furniture includes the best statement pillows around like the ones I used for this TriBeCa loft. I'm obsessed with their contemporary take on timeless pieces that range from the accessories we use and to the furniture we source. Their showroom is a mecca for any and all things design, no matter your taste. Plus, with the amazing ABC Kitchen at their TriBeCa location and the new outlet store in Brooklyn, they are a one stop shop. This Upper East Side apartment is a great example of the variety of wares at ABC - from bold prints to clean lines. The Persian rug I picked for this design is one of my all-time favorites. If you are looking for chic and sophisticated furniture and décor that will never go out of style, invest in a MGBW piece. I promise it will be worth it. 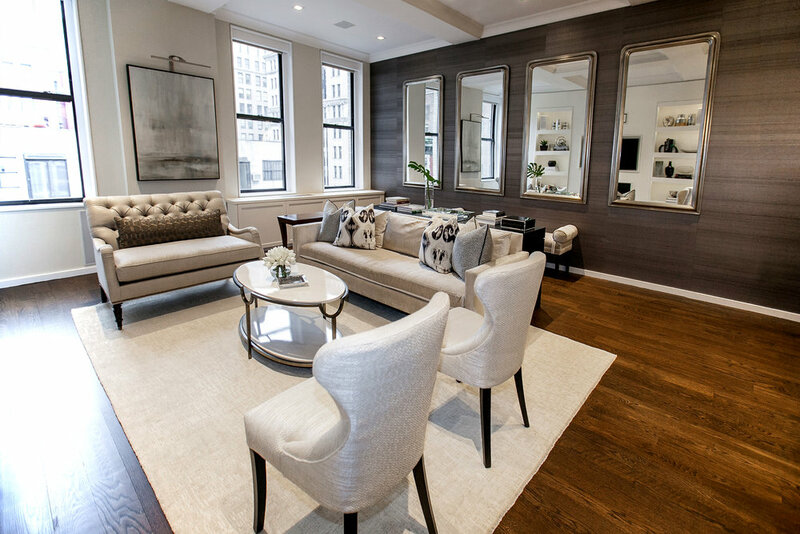 The items I hand-picked from their collection are perfect for this Madison Avenue apartment - sleek and refined. 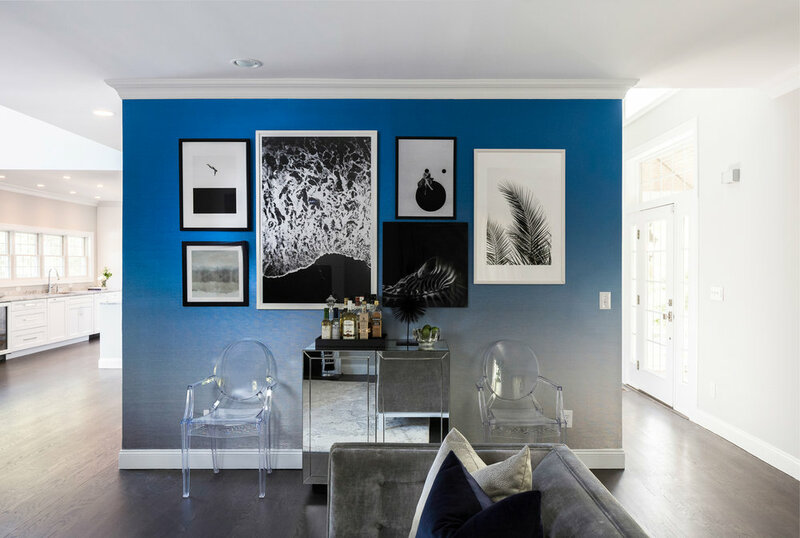 Their textured wallpaper has saved my life on more than one occasion and gave a new twist on nautical colors to this Sag Harbor beach house. The fine details in their craftsmanship help make the product, which then helps a design come together and look incredible when paired with a strong gallery wall composition. My firm’s methodology is “Every Home Has a Story: We Help You Tell It” and my favorite way to do this is to by working with local artists that really highlight the personality of the neighborhood. This unique and one-of-a-kind painted canvas placed above the sofa really brings this whole room together.